9 Deep Cleans To Do For Your New Rental | Your search for a house to rent in KL is over, and your new home is ready for you to occupy. A new home means new beginnings, fresh starts and more importantly a clean house. 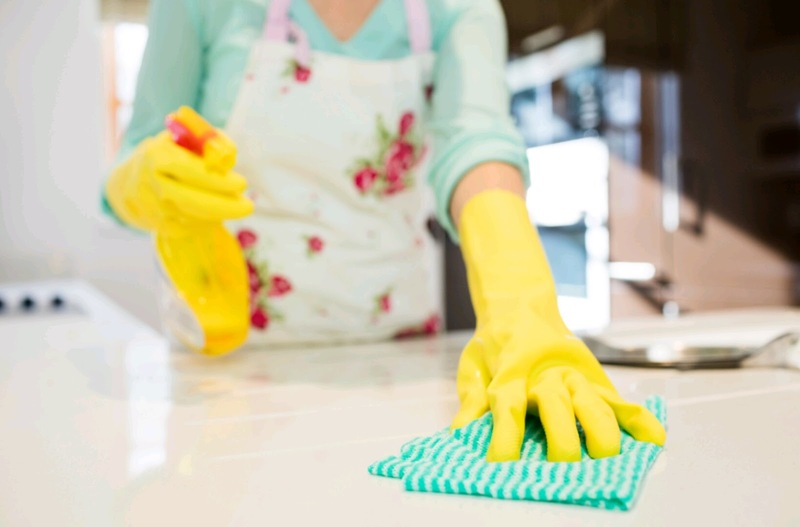 While the previous folks may have left the house clean, you will want to clean it for yourself again. The best time to tackle deep cleaning is a day before the big move because the house is completely or at least relatively empty. Before you start your cleaning exercise, ensure that you set up an area with all the tools and supplies required for a new sparkling clean home. You need to be properly equipped with cleaners for each type of surface. There are 9 deep cleans to do for your new rental. Here are ten areas that need a deep clean to sanitize and make them sparkle. 1. Clean the house from top to bottom. You should start cleaning the ceiling and work your way down. Use a mop or a broom to dislodge the webs and dust from the corners of your ceiling. Continue to the mantels, chandeliers, blinds, walls, and other surfaces. Use a pillow to dust the fan blades on your ceiling. Slip the pillow between two blades and pull it towards yourself to collect all the dust inside. This will reduce the amount of dust floating down. Do not forget to clean your bathroom’s exhaust fan that is probably filled with lint. Use a few bursts of canned air to get it sparkling clean. After that, sweep your floor to clear the dust. In most cases, a good owner will repaint the wall every few years. Hence, you do not necessarily have to clean the walls. If this is not the case, you need to clean the walls of your new home. Check for traces of fingerprints especially around light switches, corners and closer to the floor. Get a large pad mop, a spray bottle of warm, and soapy water. Start cleaning from the ceiling to the floor, side to side, removing all the grime. Use a rag to clean hard to reach crevices and corners. The cabinet is where you will fit your culinary and cutlery. It needs to be spotlessly clean before you put in your utensils. In case the shelf liner/ contact paper is old and unsightly, you can discuss with your property owner about replacing it. If the cabinets are properly lined, use a mild cleaner to clean the insides to prevent tampering with the lining. For stubborn stains, use baking soda and water paste. Pour it on top of the stain and let it soak for at least 10 minutes. Afterward, use a damp sponge to wipe the stain off and then dry it completely with a cloth. If the outer part and doors of your cabinets are wooden, use a wood cleaner or mild soap to clean. Ensure that you dry the cabinets properly inside and out. Considering that other occupants previously occupied the house for rent, there are various places you would probably want germ free. These are the areas that are frequently touched. These may include the doorknobs, light switches, and deadbolts. Wash these areas using multi-purpose cleaner and antibacterial disinfectants. Even though the bathroom may look clean, you will probably feel better using one that you have cleaned and disinfected yourself. The areas to look out for are the bathtub, toilet, sinks and counter tops. • Bathtub - While cleaning your tub, do not use harsh cleaners that can tamper with the finish. Mix up an equal part of baking soda, scrubbing powder, kosher salt, and borax. Sprinkle the mixture generously on your tub and then scrub off all the stains with a damp sponge. After that, rinse with clean water and then let it dry. • Toilet – Since this house has been used before, you will want to replace the toilet seats for your peace of mind. You do not want to feel like you are in a public washroom. However, it is prudent that you consult with the landlord first. If you opt to continue using the same toilet seats, squirt some toilet cleaner into the bathroom and scrub off all the dirt using a toilet brush. Leave the cleaner to soak in for a few minutes and then rinse. Use a bacterial disinfectant to clean the toilet seat. The fridge is one of the most sensitive parts of your new home. Use a heavy-duty cleaner to deep clean it. Start by removing all the elements and soak them in a sink full of hot soapy water. Whatever material you use to clean the fridge, ensure that it does not scratch the surface. Start by cleaning the inside of your fridge. Spray it down with warm soapy water and scrub the inside. After that, do the same for the freezer. Move the fridge away from the wall, unplug it and the use a vacuum to clean the coils with a brush attachment. You can find out some other creative and environmental friendly way to clean and deodorize your fridge from this guide. Apply an oven cleaner and leave it for approximately 20 minutes to work. Scrub to remove all the grease and tough stuff in your oven. Rinse and leave it open to dry. Clean under the top and front of the stove and then pull it away from the wall to clean beneath it. Also, ensure that you clean the sides too and the temperature dials. Before cleaning the sink, make sure there is no food residue on it. Sprinkle a cup of baking soda around the sink and wash with a wet sponge. Mix another cup of baking soda and a cup of vinegar and then pour it down the disposal. After that, run the water until there are no traces of the mixture. This will leave your sink smelling fresh. Rinse the sink well. The floor is the last thing you will be cleaning to get your new home ready. In case you are moving into a home with carpet, you can consider hiring a professional cleaner. If that is not an option, thoroughly vacuum the carpet. For the wooden floor, sweep it first and then use wood soap to clean its surface and give it that polished shine. For a tiled floor, use a steam mop. By following the steps outlined above, your family can start with a fresh, clean slate. Nice sharing & good info mommy irra. Good info mummy..klu sya part toilet tu lebih sikit..hehe.. Such a good info for those who are planning to move to new house. Thanks for sharing. Wow..! Good info.. so many tips and tricks also.